Posted on July 6, 2014 by revivewa	in News. The 2013 Wesley Scholars pictured here with Angela Currie, (right). I am very fortunate to have inherited the Music Scholarship Scheme at Uniting Church in the City, Wesley Perth. It is a really lovely idea and I feel very blessed to work with these young musicians. This year we have five scholars who work on a roster of playing on Sundays, playing music for reflection at the start of the worship service and during the offering. In the past some have played with the choir. We have made a string quartet up and they have accompanied the choir and the singing scholars with excerpts from, for example, Messiah. The other lovely thing that shows, is that scholars from the past tend to have a lot of Wesley members coming along to their recitals at university even after they have left Wesley. The scholars aren’t necessarily Christians but they do tend to say, especially at the end of the year, ‘Wesley is special, it’s so nice performing here and it’s lovely performing in a place where we aren’t judged.’ It seems to be a very positive experience for them and of course they get paid. Another positive at Wesley music is our Friday lunchtime recitals on the first and third Friday of each month. My idea was to set this up as a platform for young up-and-coming Perth musicians. I have used past Wesley scholars throughout this and it’s lovely for me to give these young musicians the performing experience. We have musicians from the West Australian Academy of Performing Arts (WAAPA) and the University of Western Australia (UWA) performing at these. 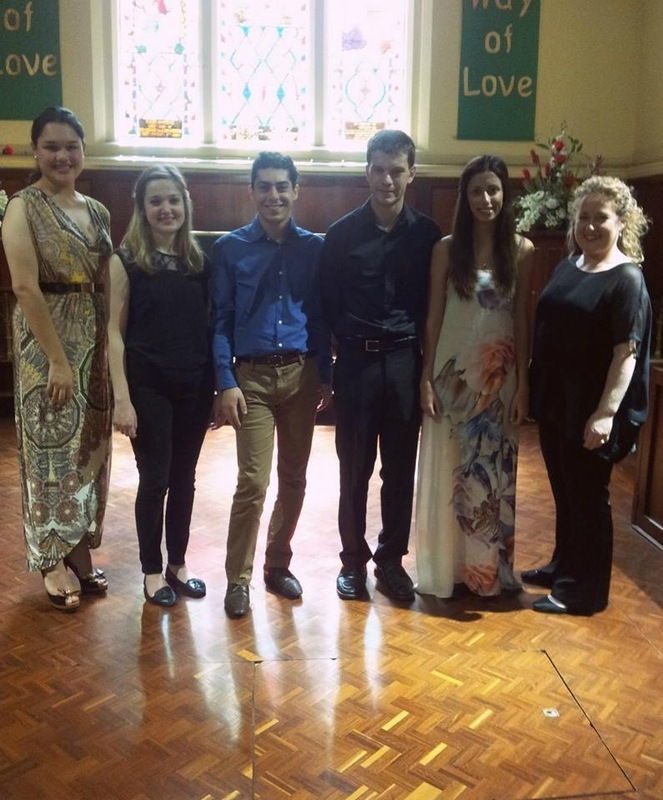 The Scholars Scheme at Uniting Church in the City provides an opportunity for young musicians to gain performance experience over the course of a year.